Carminho is the great voice of fado and one of the most international Portuguese artists! Carminho was born among the guitars and voices of fado, daughter of the renowned fado singer Teresa Siqueira, she began singing in public at the age of twelve in the Coliseum. Fado was always so present that she never thought it could be her occupation. During college Carminho sang in Fado clubs and received several proposals to record but she decided to wait. She graduated in Marketing and Advertising and realized that singing required a maturity that she did not have yet. Carminho traveled for a year, participated in humanitarian missions and returned to Lisbon determined to give herself entirely to an artistic journey. "Fado," her first album, was released in 2009, which became one of the most acclaimed albums of the year and decade. It achieved platinum - an enviable result for a debut album - and opened the hearts of Portugal to her voice, and the doors of the world to her talent: in 2011 “Fado” was considered best album for the British magazine "Songlines", Carminho performed in the main European capitals, also at the Womex 2011 in Copenhagen and at the Paris headquarters of UNESCO as part of the Fado application for world heritage. 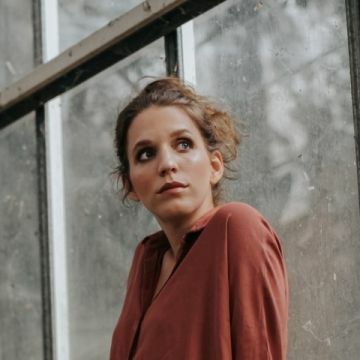 In the same year, she collaborates with Pablo Alborán in "Perdoname" and becomes the first Portuguese artist to reach number 1 of the Spanish top. In 2012, the second album, "ALMA", debuted in the first place of sales in Portugal and reaches prominent positions in several international tops. After performing in the main venues of Europe and around the World in countries like Finland, Sweden, Peru, Chile, Argentina, Colombia, China, India, Latvia, USA, Germany, United Kingdom, South Korea, Poland, France, Austria, Denmark, among many others, she also performs in Brazil and her dreams of recording with Milton Nascimento, Chico Buarque and Nana Caymmi came true, resulting in a reissue of "Alma" with three new songs. Carminho thus begins to conquer Brazil, with sold out concerts in Rio de Janeiro, São Paulo and a bit throughout the country. In 2013, Carminho affirmed herself as one of the most international Portuguese artists, taking her voice to the four corners of the world, at the same time that she is distinguished in Portugal with a Golden Globe and the Prize Carlos Paredes, seeing both albums reach the double platinum award. At the end of 2014, "Canto" is released, and her relationship with Brazil takes on even deeper roots, with Caetano Veloso's first partnership with his younger son Tom, who offered her the unpublished "O Sol, Eu e Tu". "Canto" also includes the duet with Marisa Monte and special guest appearances by Jaques Morelenbaum, António Serrano, Carlinhos Brown, Javier Limón, Naná Vasconcelos, Dadi Carvalho, Jorge Hélder and Lula Galvão. In 2016, following an invitation by the family of one of the greatest composers in the world, she recorded "Carminho Canta Tom Jobim" with the last band that accompanied him live in his last ten years, and sharing songs with Marisa Monte, Chico Buarque and Maria Bethânia. After the great success with the album "Carminho Canta Jobim", the Portuguese singer - considered one of the greatest performers in the history of Portuguese music - returns with a new album of originals. "Maria" is the title that Carminho chose for her new album, the fifth of her career and the most personal one. An album in which production she actively participated and where several songs of her authorship were included. A truly exciting album. A constant dialogue always tuned in all that Carminho learned directly from two magnificent sources: Beatriz da Conceição and Teresa Siqueira (her mother), with whom she also learned to respect what she has to offer to the world: her own voice and unique singing skills but still enjoying the freedom to be the fadista she is and taking whatever the risks she wants to. Her journey in its entirety has revealed Carminho as an artist of firm and thoughtful decisions, who never forgets her origins, who carries in herself a language of several centuries, but which is present in her generation, with her eyes on the world and in the future.